Shorty Tours Transportation offers daily Airport Taxi and Transfer Service from the Sangster’s International Airport (Montego Bay) and the Norman Manley International Airport (Kingston). We do Airport Transfers from Montego Bay or Kingston to your hotel in Port Antonio, Negril, Montego Bay, South Coast (Treasure Beach or Whitehouse), Ocho Rios and Kingston. 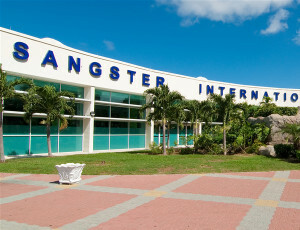 Sangsters International Airport, Montego Bay, Jamaica. 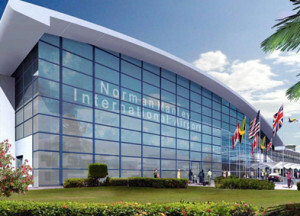 Once you arrive at the Montego Bay International Airport and after clearing Immigration and Customs, make your way to the ground transportation hall and you should see a Shorty Tours representative with a sign that displays your name. You can find more details about Airport Taxi and Transfer to hotels from Shorty Tours such as price to the most popular hotels and resorts in and around the City of Montego Bay..
Norman Manley International Airport, Kingston Jamaica. Once you arrive at the Kingston International Airport and after clearing Immigration and Customs, make your way to the ground transportation hall and you should see a Shorty Tours representative with a sign that displays your name. You can find more details about Airport Taxi and Transfer to hotels from Shorty Tours such as price to the most popular hotels and resorts across the Island..